Extreame Savings! Up to 43% off on Sustainability & Green Design at Translate This Website. 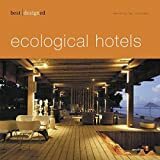 Top brands include TASCHEN, Brand: Avedition Gmbh,Csi, North Atlantic Books, Lars Müller Publishers, Springer Vienna Architecture, Libraries Unlimited, Taschen, Brand: CSIRO Publishing, Pearson, & University of Oregon, PUARL Press, The. Hurry! Limited time offers. Offers valid only while supplies last. View more products in Architecture.